Benchmarks like power, pace or heart rate offer means to guide training. Expanding that with TSS enables an athlete to make general assessments on the impact of each session. The real power comes when you start to consider the long term affects of training. 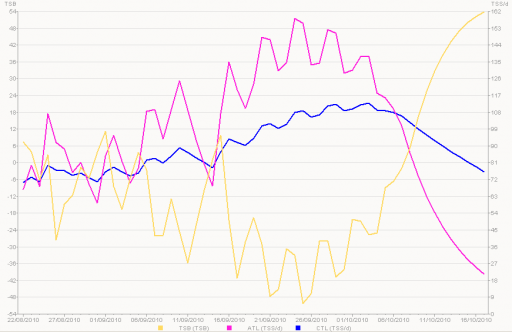 Whilst there are other versions I use WKO+‘s Performance Management Chart (PMC) to track my training. The PMC uses daily TSS as the basis for calculating a number of values. You’ll have seen me refer to Chronic Training Load (CTL) and Acute Training Load (ATL) in many posts. These two variables are key concepts in the PMC. 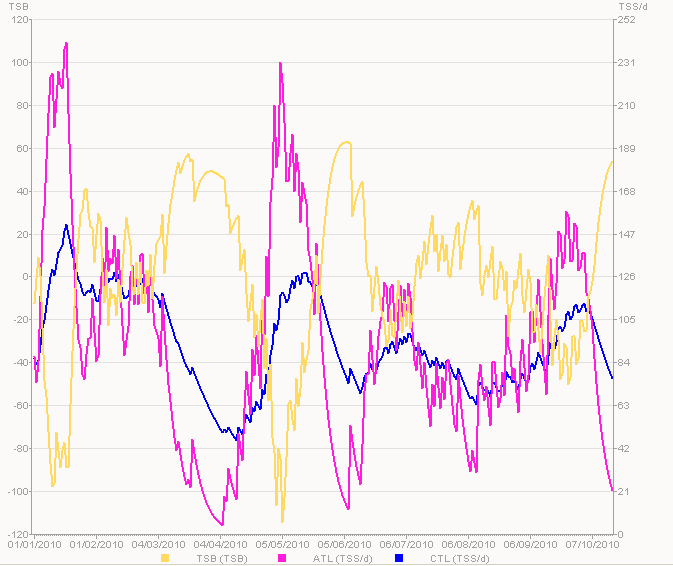 CTL is sometimes referred to as fitness, a weighted mean of daily TSS over the past 42 days (WKO+’s default). Effectively it gives an idea of the cumulative effect of long term training. CTL responds slowly each workout that stresses the body adds a little and over time it grows. Rising CTL indicates training that’s likely to be improving fitness as it repeatedly stresses the body. ATL is sometimes referred to as fatigue. 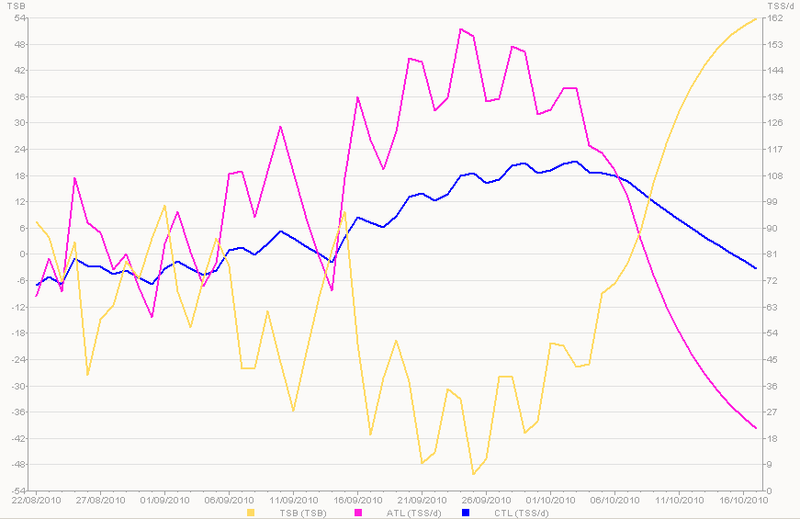 A weighted mean of daily TSS, but over the past 7 days showing the recent impact of training. Recent sessions fatigue you as well as made you fitter. ATL responds quickly the harder you train the sharper it rises. Similarly stop training and it rapidly falls tying in with the process of recovery. A third variable tracked by the PMC is the difference between fitness and fatigue in the form of Training Stress Balance (TSB). When TSB is negative then fatigue is higher than fitness and when positive fitness is higher than fatigue. It’s sometimes referred to as form the elusive condition when we perform our best. Once again there’s no absolute target numbers we have to learn what works for us. One of the aims of consistent training is growing CTL. It’s not about hitting a particular number, but the process of increasing CTL requires training that produces sufficiently high daily TSS. Every time you record workouts that have TSS higher than CTL you know it’ll rise. On easier days when TSS is lower it will level off or drop. Inconsistent training makes it hard to increase CTL as you don’t routinely perform sessions with TSS above CTL. Training is simple just go out and log hard sessions day after day, as the TSS rises so will the CTL! The catch is every time you log a high TSS ATL will rise too. You’re becoming more fatigued. Fatigue is the main limiter of continually executing high TSS workouts. Easier days and sessions control growth of ATL to reasonable levels and allow it to fall back. The aim is a balance of manageable CTL growth that doesn’t overly fatigue you. Too much hard training and excessive break down will lead down a path of inconsistency. We want to perform easy and hard sessions through choice. 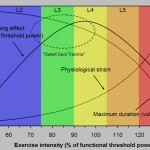 Periods of training will raise CTL and ATL, but lower TSB. They respond at different rates so the daily fluctuations in training sessions will minimise the growth of ATL whilst CTL creeps up. As a general rule long periods of negative TSB are an indication recovery is needed. You need periods of negative TSB it’s part of the process of developing fitness. You also need to let it restore a positive value at times. Absolute numbers aren’t the important aspect of the chart it’s all about the shape. We’re looking for that manageable growth in CTL from a plan that regularly generates TSS above current levels. At the same time it needs to be balanced so that there are periods of lower TSS and recovery to minimise overall growth in ATL and to allow TSB to restore to positive values. Within a training week a mix of hard and easy days should allow CTL growth whilst preventing large spikes of ATL. Beyond that on a macro level cycles of easier weeks or recovery periods provide a means to allow TSB to restore at a small cost to CTL. Following recovery you should be able to return to training with better performance. Look to target certain levels of TSB in order to perform your best. The process of tapering is a balance of minimising fitness loss (CTL), maximising fatigue loss (ATL) and trying to get our TSB in the right region (positive, but not too positive). Before periods of intense training (big weekends, training camps or key sessions) we would aim to raise TSB and lower ATL too. Tracking TSS for workouts and following the effects in the PMC provides warning signs of impending fatigue. As you get to know your responses to varying levels of form and fatigue you’ll be better able to make predictions of performance based on the chart. 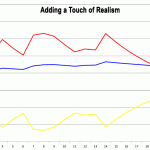 There is a definite art to interpreting the data and understanding how it relates to you. 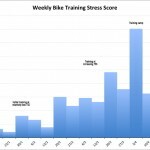 Part of my planning process for any training block is to predict TSS for workouts and use this to produce a future PMC. It gives an idea of the impact of a program and also flaws that may have gone unnoticed. Too long a period of negative TSB, a serious spike in ATL or key workouts placed so close they’re done when you’ll not perform your best. As usual you’re not tracking absolute numbers, but looking at the shape and changes. Attempting to grow CTL in a sustainable manner and to allow ATL to fluctuate on a weekly basis. Over the long term you expect to have weeks of negative TSB with periods where you come up for air. The program carries through to races where I heavily utilise the PMC to plan sessions. I know I want as low an ATL as possible, to minimise CTL losses to around 10% and that my TSB is positive, but not too high. I can then place key taper sessions and see how this affects the variables. Ultimately I go with feel and will always opt for more rest if required. The default PMC tracks combined training giving an overall picture particularly for fatigue. It hides details of individual sports. 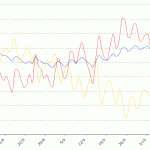 During my recent run focus CTL rose as a consequence of running, but if you considered cycling it was falling. The combined chart hides this, but by keeping separate charts for each sport I can see these patterns. Tracking the sports individually enables you to plan training for each discipline based on how you respond for that sport. The clearest example is during the taper where I taper running earlier than cycling or swimming. With separate PMCs I can ensure my run is being tapered and I’m on target for the right run TSB whilst maintain the cycling. I don’t keep a PMC for swimming, but there’s no reason not to if you estimate TSS for each session. My barrier has always been the lack of precision in determining swim TSS. To an extent I’ve justified it in terms of the overall impact on fatigue being minor. It does introduce an inaccuracy into my overall training picture so it’s something to explore. This was a very quick overview of using the Performance Management Chart. Reading Training Peak’s 411 on the subject can provide further detail on the underlying principles behind it. I’ll examine my own PMC in more detail in the next post looking at the patterns I’ve seen and what their impact has been.